His Holiness Mirza Masroor Ahmad (Mir-za Mas-roor Ah-mad), is the fifth Khalifa (Caliph) of the Ahmadiyya Muslim Community. Elected to this lifelong position on 22nd April 2003, he serves as the worldwide spiritual and administrative head of an international religious organisation with membership exceeding 10’s of millions spread across over 206 countries. Every week, His Holiness delivers a Friday Sermon in which he addresses all members of the Ahmadiyya Muslim Community worldwide. The sermon is broadcast globally live onMTA International, an Ahmadi Muslim satellite television station established in 1994, and translated into various languages. MTA International is also streamed live on mta.tv and Al Islam. The Friday Sermon is available in over 18 languages in Video on Demand format. 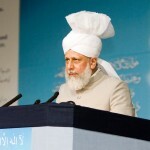 His Holiness uses his sermons to counsel Ahmadi Muslims about various issues of importance. His Holiness resides in London, UK with his wife, Amtul Sabooh Ahmad. He has two children and three grandchildren. 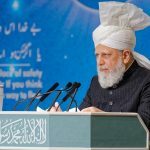 The Holy Qur’an, which Muslims believe to be the direct Word of God, has promised Muslims who are good and righteous the reward of ‘Khilafat‘ whereby a ‘Khalifa’ (spiritual Successor), is appointed by Allah to continue the work of a Prophet. This is an elected office where the Holy Spirit superintends the election process. The Khalifa of Islam is God’s man on earth. Today the Ahmadiyya Muslim Community is the only Muslim sect in the world that is united at the hand of one leader, who is known as the Khalifa. The Khalifa-tul Masih is the successor to the Promised Messiah, His Holiness Mirza Ghulam Ahmad of Qadian (peace be upon him). After his demise in 1908, the institution of Khilafat was re-established in Islam on 27 May 1908. In 2008 the Ahmadiyya Muslim Community celebrated 100 years of the Khilafat. The institution of Khilafat is the source of the Community’s unity, vibrancy, organisation, progress and its focus on peace. 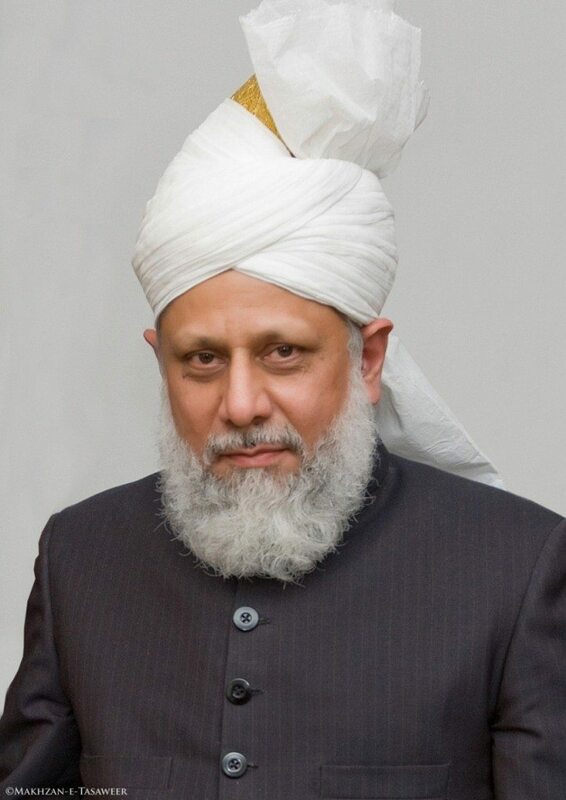 His Holiness Mirza Masroor Ahmad is the fifth Khalifa of the Ahmadiyya Muslim Community. Although Khilafat is not in any way a hereditary institution, His Holiness Mirza Masroor Ahmad also has the distinct honour of being the great-grandson of the Founder of the Ahmadiyya Muslim Community. A documentary video about His Holiness Mirza Masroor Ahmad (1950-), Khalifatul Masih V (2003-). This video documentary covers events up to December 2007.